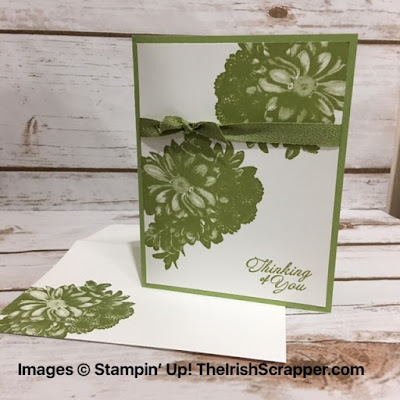 Today's project features a sympathy card using the Sale-A-Bration stamp set Heartfelt Blooms. This is a really cool set. The image in this set is photographic so it really looks like real flowers. 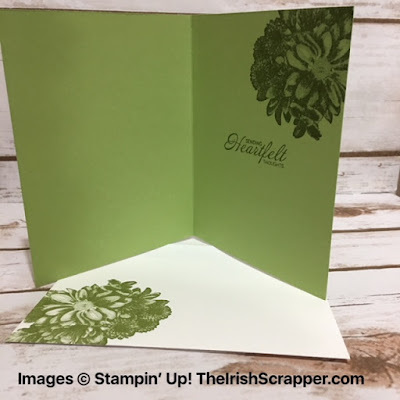 I don't know how Stampin' Up! does it but this is cool! 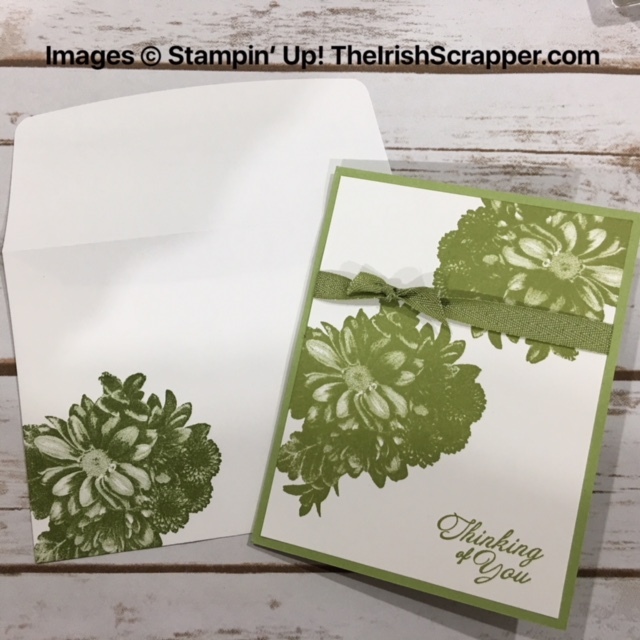 I thought it would be perfect for a co-worker who recently lost her Dad. To tie everything together I actually stamped on the inside of the card as well as the envelope. View the Sale-A-Bration 2nd Release flyer HERE! These new SAB items are available starting Feb 16, 2018.